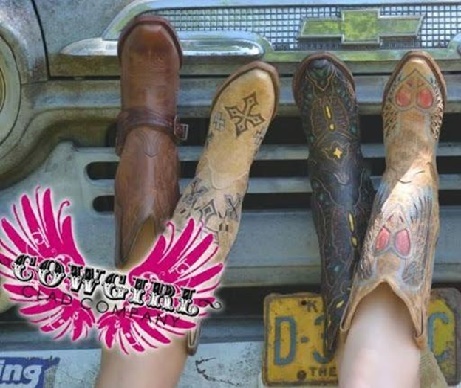 The Cowgirl Clad in Branson, Missouri is a small boutique which is specializing in selling Cowgirl Boots and every stylish things that looks good. This shopping spot carries dresses, jeans, jewelry and bling. The shop offers various sizes that include S-3XL and 0-21 in jeans, and they are all available at reasonable prices. Anyone who hears about Cowgirl Clad Company in Branson will figure out it is only for cowgirls, which is the usual assumption. But it’s not. This modest boutique is a great shop specializing in fashionable women’s clothing, jewelry and accessories. And the prices are incredibly low for a boutique-style shopping experience. One of the biggest appeals of this shopping place is that the owner usually orders one of each size per product. So anything bought in this shop will be unique to you and you’re unlikely to come close to anyone else wearing the same thing. If you come here for a stylish pair of cowgirl boots, you’re in the right place. Whether you just want a pair of cowgirl boots that will draw praises from strangers where you come across or you just want your young girl to sport a little bit of bedazzled country flair on her big day, Cowgirl Clad Company is the place to see some of the most stylish clothes. So, when you stop by the Cowgirl Clad Company in Branson, you’ll discover an array of accessories and clothing items that sport southwestern fashion without spending so much time looking for it somewhere. If you choose to use intricate patterns for your clothing, vintage elegance or the chic boho look, you’re sure to find a new addition to your unique wardrobe or a perfect stocking for your adored girlfriend. The great prices in this stylish boutique are combined with a variety of unique products that easily bump to the top of your “favorites” list where many shoppers like to recommend the place to anyone visiting the place the next time. Beautifully located at W. Pacific St. in the historic downtown Branson and just minutes from Branson Landing, Cowgirl Clad Company offers current top sellers that include Sand/Black-Red Side Wing & Heart Square Toe Boot at $280.00; Grey/Blue Glitter T-Shirt at $36.00; a Denver Tan Volatile Boot at $68.00; and a Black/Blue Glitter T-Shirt at $36.00. This great shopping spot not only for those seeking fashionable clothes and stylish boots, but also for those who like to keep up with the hottest of trendy fashions. Anyone who comes across in this great shopping place, will love the cutest styles they are offering. The shop has a little bit of everything and you can have a shopping party with a blast that can give you 10% off of the total cash sales. The shop not only offers all cowgirl boots and all western, but they also have dresses, jeans, jewelry, and all kinds of accessories. This unique store has something for every kind of woman. So, don’t miss the chance to visit Cowgirl Clad if you’re in Branson.